This is the first series of 5 live webinars focusing on the sub-elements of the National Numeracy Learning Progression. Each webinar is a separate registered course through NESA. The courses will run on five consecutive Wednesdays in Term 4 2018 (Wednesday 7th of November – Wednesday 5th of December). For each webinar there is a pre-reading task of a research paper related to the sub-element being discussed in the webinar. Participants will need to complete the reading prior to the webinar and also complete a short survey about the reading as part of the accreditation. Participants will also be able to submit a question regarding the topic that may be answered during the webinar. The pre-reading task contributes 1 hour of the 2 hours for the course. The webinars will be 1 hour in length and attendance at the webinar will contribute 1 hour to the course. Information regarding the reading and survey will be emailed to all participants once they have registered. Katherin Cartwright, who will be leading the webinars, has over 20 years’ experience teaching primary students and supporting teachers specifically in mathematics in her previous role as State Mathematics Advisor for the NSW Department of Education. 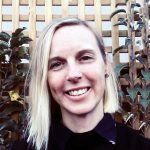 Katherin was on the writing team that developed the National Numeracy Learning Progression in collaboration with ACARA and is currently a PhD student and casual lecturer/tutor at the University of Sydney. Registrations for these courses will open on Wednesday 17 October, 2018. Each course will cost $25. Completing each course will contribute 2 hours (per course) of NSW Education Standards Authority (NESA) Registered PD addressing 2.5.2 and 6.2.2 from the Australian Professional Standards for Teachers towards maintaining Proficient Teacher Accreditation in NSW.